From small “ma and pa companies” to industry leading companies are selecting to have an effective web presence not an ATTENDANCE, a big difference. This is to reach out to their customers more effectively. Interactive website engages customers and also keeps them coming back for more. Designing a website that appeals to the target audience requires deep understanding of general industry trends and purchasing patterns of customers while upholding the current W3C compliances. Professional web Design Company has the required expertise to execute a strategically designed website that attracts and retains customers. Especially for start up companies , engaging successful web designers increases the chances of online success. Usability and functionality 2. Optimized for Search Engines 3.Expert web designers and developers. These are the three pillars of effectual web design and development . A usability/ functionality focused website is one that allows for easy navigation across the website. Visitors can quickly find what they are looking for. 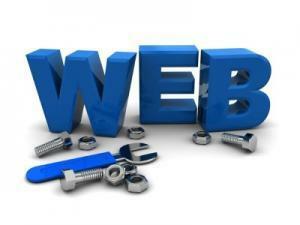 User-friendly web designs leads to higher profitability. When companies choose a quick-fix website development and design solutions can adversely affect their profitability. As online business matures, it becomes imperative for companies to create a competitive edge through their website, which keeps customers coming back more often. Today in 2012, the world of internet, this online space is crowded with millions of websites. Customers use search engines to find companies. If the web design doesn’t comply to search engine standards, it will not get displayed on top search query results, thereby loosing potential leads. Website development and search Optimization companies such as ECA Technologies Inc. / Designtorontoweb.ca / 2seo.com have gained deep experience in designing and developing websites for a wide range of industry verticals. Focusing on their “brand” ,their keen industry insights and rich experience mitigates the risk of an unrewarding online venture. Leveraging their expertise, the client companies can adopt a strategic approach towards not just their website design but also entire online business while developing their online reputation and brand. Having a website helps companies to cater to a wider market and effectively reach out to target customers. However, there is a shift to using mobile browsing instead of web browsers. It makes sound business sense to develop mobile responsive website and reach customers that use mobile browsers. In view of this emerging trend, ECA Technologies Inc. / Designtorontoweb.ca / 2seo.comprovides mobile website development services as well for iPhone, iPad, BlackBerry and android devices. Informative post !!! usability and functionality, search engine optimization and professional web design is needed to the success of effective web design, but besides these all in today scenario a site should also able enough to convert its visitors in to customers. Usually a successful website has only a few typefaces which are of a similar style, instead of using a range of typefaces. Preferably a website should use sans serif or serif typefaces, not a combination of the two. Typography in websites should also be careful the amount of typefaces used, good design will incorporate a few similar typefaces rather than a range of type faces. Most browsers recognize a specific number of safe fonts, which designers mainly use in order to avoid complications. Most layouts on a site incorporate white spaces to break the text up into paragraphs and also avoid centre aligned text.